Posted on February 17, 2017 by Smorgasbord - Variety is the Spice of Life. 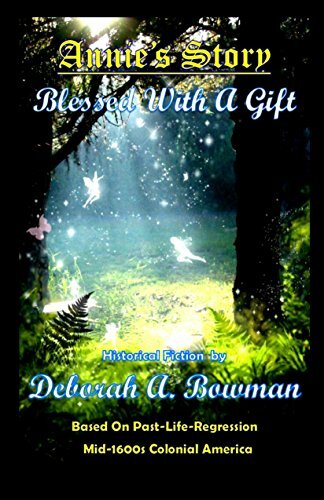 Today the featured author is Deborah A. Bowman and a look at the Denny Ryder Paranormal Crime Series beginning with Stroke of Fear. This book is age appropriate for teens, young adults and adults interested in the paramormal. Stroke of Fear starts off with a bang! Denise Ryder is in the midst of a gruesome car accident. She’s thrown against the door, pitched to the floor, twisted upside-down, falling, as she claws her way out of a shattered window. She hears loud crashes, hysterical screams, screeching metal, and the voices of two dear friends. Her stomach heaves, and she’s choking, gagging, can’t breathe! Blood is everywhere. Here is a review for the series as well as for Stroke of Fear. The “STROKE OF” novella series is unlike anything else I’ve ever read. I don’t read a ton of Paranormal literature, but I’ve read enough to have covered most of the major tropes in the sub-genre. STROKE OF FEAR employs several common tropes to great effect, including a physically disabled psychic, lucid dreams, second sight, and dreams a harbingers of future (or current) events. What makes STROKE OF FEAR unique isn’t the setup or the characters, but rather the style of the writing and the way the story is told. BOWMAN has found a way to marry some pretty dark thematic material to a lighthearted writing style. Somehow it works. I didn’t know what to think of it at first, but BOWMAN won me over, and by the time I finished this relatively short novella, I was ready to read the next two. Though the author indicates that each of “STROKE OF” novellas is a standalone book, I found that they’re more a serialization of a longer plot arc that deals with a missing boy. Yes, each novella has a self-contained plot arc as well, but the three novellas are all required to finish the longer, most compelling plot line. Go into this first book knowing that you’ll need to buy the next two to have your curiosity satisfied fully. These are interesting, unique novellas and worth the read if you enjoy paranormal. Even more so if you eschew gore; while the novellas don’t shy away from the darker aspects of the story, BOWMAN steers clear of anything too graphic, which I for one appreciated. If you are not currently in the bookstore then it is very easy… here are the details of the promotions available for authors and bloggers on Smorgasbord. This entry was posted in Book Promotion, Sally's Cafe and Bookstore New on the Shelves and tagged Deborah A. Bowman, Paranormal, YA fiction by Smorgasbord - Variety is the Spice of Life.. Bookmark the permalink. Thanks, Sally. You’re like my conscience speaking to me this a.m. I’m getting ready to make softcover copies of the Denny Ryder Series. Also, working on Stroke of Passion! The fifth book in the series. Somehow my eighth book, Annie’s Story Blessed With A Gift, hasn’t made it on my author’s page on amazon. Your posting also reminds me to get that remedied. Thank you from the bottom of my heart. I am so honored to be part of your Bookstore collection. I must take the time to wander the shelves! An intriguing book and author. What a fantastic addition to the bookshelves. Enticing.